Scaling deep learning workloads across multiple GPUs on a single node has become increasingly important in data analytics. A key question is how well a PCIe-based GPU interconnect can perform relative to a custom high-performance interconnect such as NVIDIA’s NVLink. 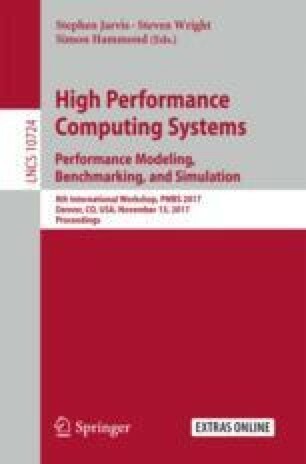 This paper evaluates two such on-node interconnects for eight NVIDIA Pascal P100 GPUs: (a) the NVIDIA DGX-1’s NVLink 1.0 ‘hybrid cube mesh’; and (b) the Cirrascale GX8’s two-level PCIe tree using dual SR3615 switch risers. To show the effects of a range of neural network workloads, we define a parameterized version of the popular ResNet architecture. We define a workload intensity metric that characterizes the expected computation/communication ratio; we also locate AlexNet and GoogLeNet within that space. As expected, the DGX-1 typically has superior performance. However, the GX8 is very competitive on all ResNet workloads. With 8 GPUs, the GX8 can outperform the DGX-1 on all-to-all reductions by 10% for medium-sized payloads; and in rare cases, the GX8 slightly outperforms on ResNet. The authors thank Matthew Macduff (PNNL) for evaluation assistance. We are grateful for funding support from the U.S. Department of Energy’s (DOE) Office of Advanced Scientific Computing Research as part of the “Center for Advanced Technology Evaluation” (CENATE) and “Convergence of Deep Learning and Machine Learning for HPC Simulation and Modeling.” Pacific Northwest National Laboratory is operated by Battelle for the DOE under Contract DE-AC05-76RL01830.